The Heat would save around $2.2 million in cap space for the current season if they were to trade Whiteside and Johnson for Thompson, Clarkson, and Korver. Doing this deal would also help the Heat in their effort to get below the luxury tax, which is set at $123.7 million for the 2018-19 season. 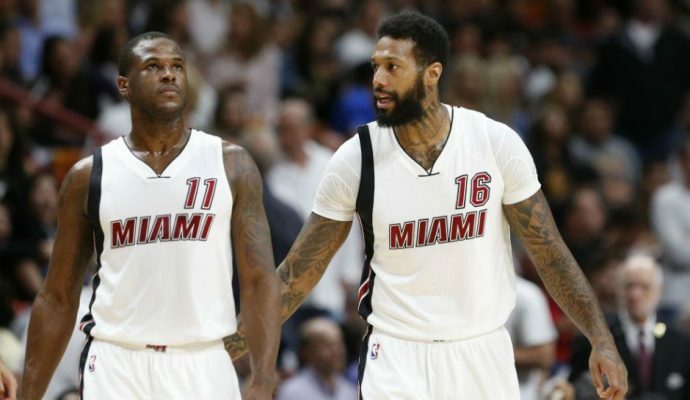 If the Heat were to keep Johnson and trade Waiters instead, they would then take on approximately $600,000 and push themselves even deeper into the luxury tax. It has been rumored all offseason that the Heat have been interested in trading Whiteside after a rocky season in which he publicly complained about his minutes and was fined after going on a rant filled with expletives. It was also recently reported that the Heat were discussing a trade with the Houston Rockets that would potentially involve Johnson. By agreeing to this trade, Miami would be acquiring a good rebounder with lots of playoff experience in Thompson (8.4 rebounds per game for his career), a decent offensive weapon in Clarkson (14.1 points per game average in four NBA seasons) and one of the league’s best three-point shooters in Korver (43.6 percent shooting from three last season). As for their roles in Miami, Thompson would most likely come off the bench and backup the starting center, whether it be Bam Adebayo or Kelly Olynyk. If the Heat decide to include Waiters in this trade and Dwyane Wade decides to retire, Clarkson could end up becoming the team’s starting shooting guard. Korver, who would add some much needed solid three-point shooting to the team, would probably also come off the bench.